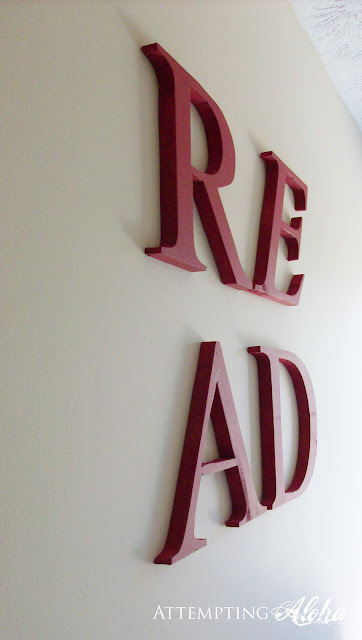 The READ sign is a play off of Robert Indiana's famous LOVE sign. Also famously replicated in Pottery Barn's Christmas NOEL sign (that retails for $150!!). I'll give more details on that, the curtain, and the beanbags in upcoming posts. What do you think?! I'll be thrilled even if I come in third. It was a great competition, and my girls just LOVE their new playroom. We've still got a few more things to finish up on it, but it's such a great space now! love the reading nook. Too cute! Come make me one!! Love it! I LOVE THIS! As an avid reader, I wish this was in my home!! 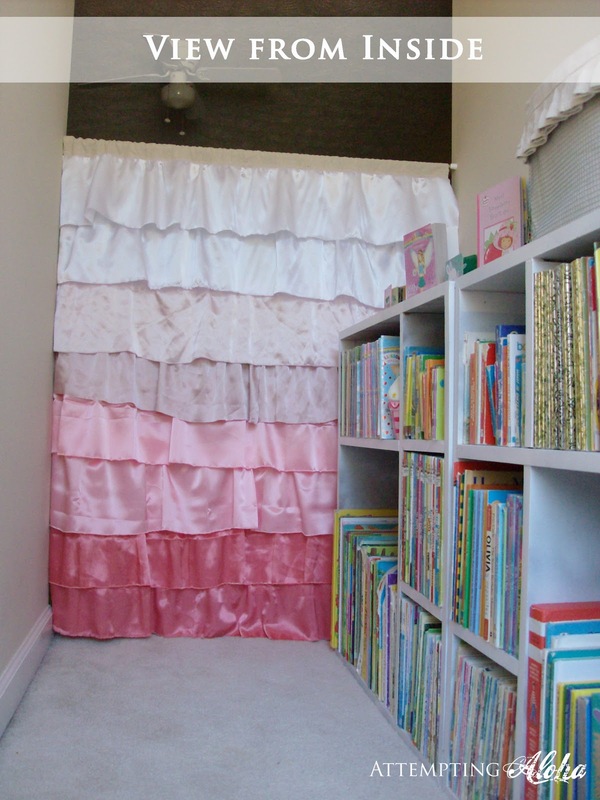 The curtain is the icing on the cake! 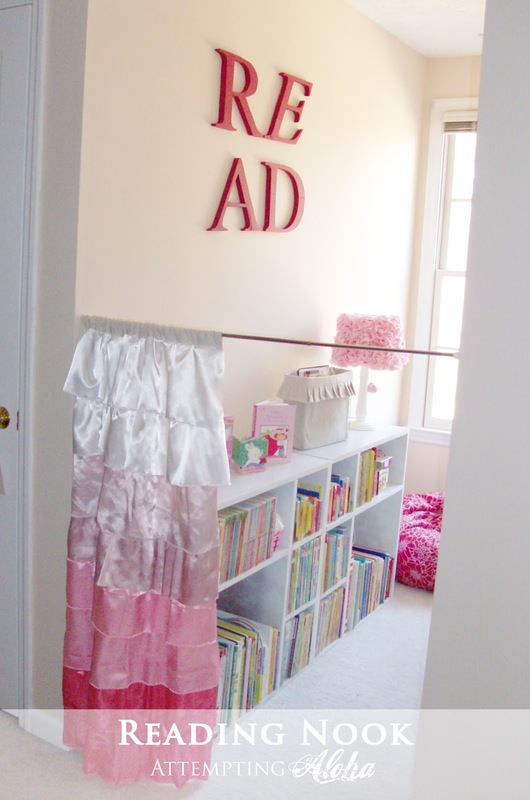 What a great, cozy space for little ones! I really like the red letters! Love this! my daughter would love it even more, it's soo cute! That reading nook looks wonderful! My kids would have loved a dedicated area like this when they were little. You did a great job! 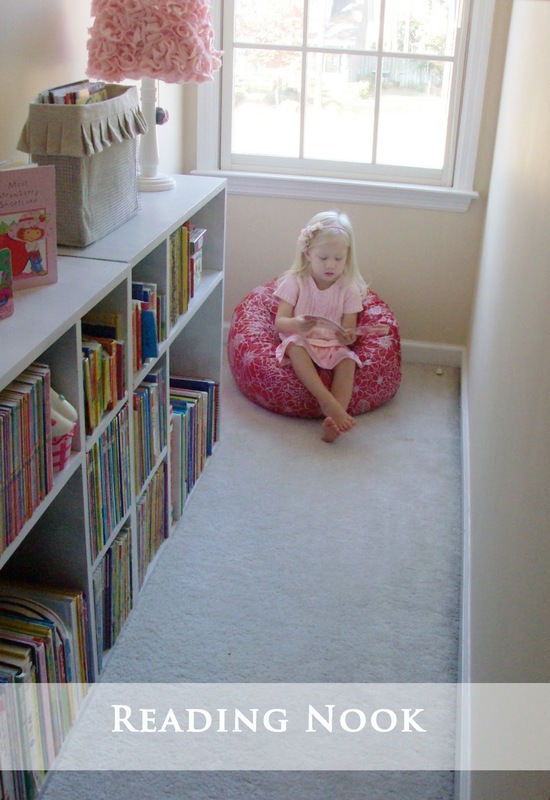 what a fabulous reading nook, and i love the play on the love sign! LOVE IT! I have two little boys. Nothing is pink. 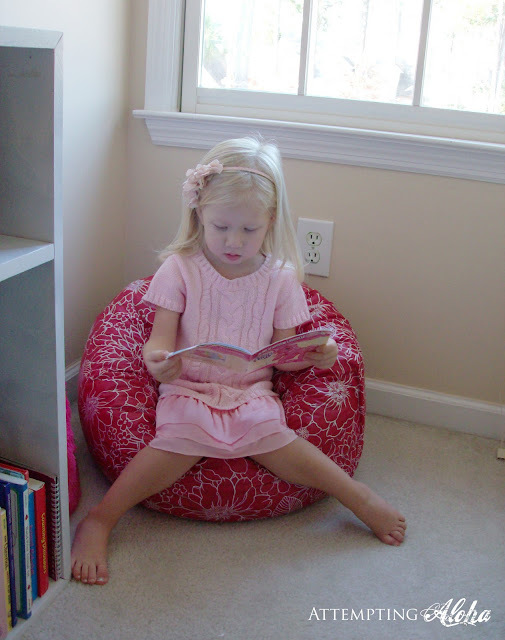 So I'm basking in your lovely pink reading nook!! What a great little hideout space! Love the ruffle curtain and the little lamp! 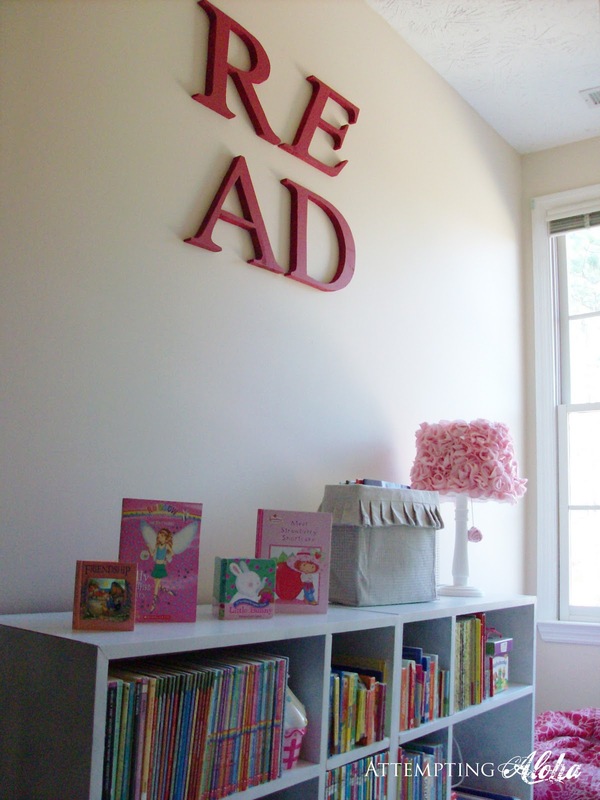 We have red READ letters in our playroom too! Cute! Good luck on the CSI contest! SO cute! I love this idea! I found your blog from the Tuesday's Nursery party. I'm your newest follower. I'd love you to stop by my blog & maybe follow along too! Paper Towel Pom Poms Tutorial - Easy and Cheap!